Cleaning out my Studio and have lots and lots of goodies for sale. 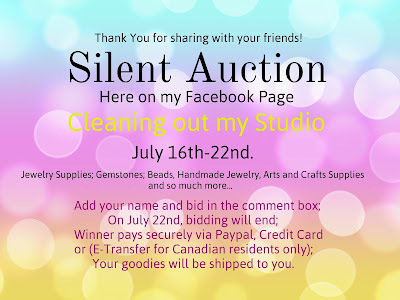 I will be having a Silent Auction to rid all of the things I do not use. I have jewelry supplies, gemstones, beads, arts and crafts supplies, plus some jewelry from my walk in store.